Here at Molly Goodheads, We've been Serving up Big Portions at Low Prices since 1985! We'd Love to to hear about your recent experience. Seafood, Salads, Sandwiches and So Much More! Molly Goodheads rests in the quiet, coastal community of Ozona, Florida. On the outskirts of Palm Harbor and just North of Dunedin, where we’ve been serving up the freshest seafood in town for over three decades. Owner, Laurel Flowers has continued her long standing tradition of big portions and low prices that keeps them coming back for more! The menu consists of a diverse mixture of seafood, salads, sandwiches and burgers along with mouth-watering deserts such as Cheesecake and Chocolate Cake to finish off, your perfect meal. Molly’s opens daily and begins serving promptly at 11:00AM. Our full liquor bar is always well stocked including our famous “bath-tubs Full O’ Beer” and now serving, signature cocktails and shot specials. Lunch specials and Theme Nights four nights per week round out the excitement. Our Key West style and laid back atmosphere invites you in. Friendly faces, Ice cold beer, and delicious food gives you a reason to stay! So whether you arrive by Car, Truck, Bicycle, Motorcycle, Golf Cart we’ve got the perfect spot for you! 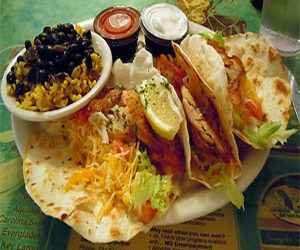 As we are located just off the Pinellas Trail, its a great place to stop and enjoy a meal. Our crowd tends to consist of great diversity from all walks of life. Stop in today to see for yourself! Seafood fans.. If you haven’t tried it yet, make sure to try our “Famous, Fresh Off the Boat, Grouper Sandwich” Served Blacked or Deep Fried to an absolute Golden Perfection.